A business letter of invitation is a letter written to invite clients, customers, business partners, etc. to any event of the company. 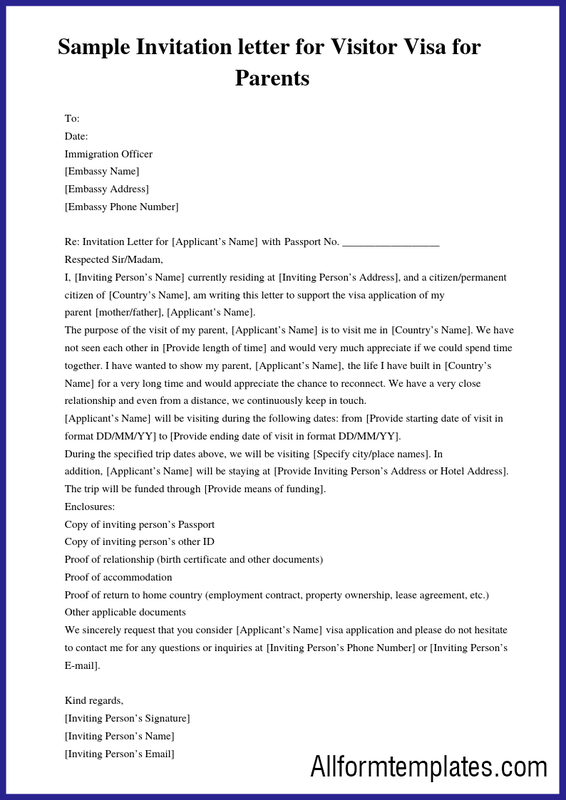 So here we are bringing you various templates of business invitation letter in PDF format. A corporate business letter is written for the official purpose. These letters are used by a company to communicate to its stakeholders such as its customers, clients an other third parties. There can be many types of business letters, the most commonly use are request letter, inquiry letter, motivation letter, resignation letter, thank you letter, etc. One of the other important business letters is invitation letter, which we shall discuss today. 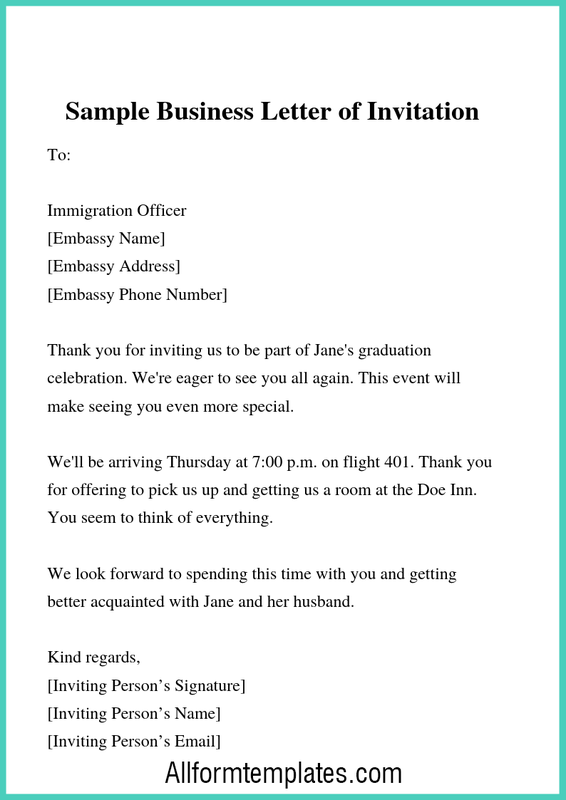 The business invitation letter is a formal letter which must be written in a professional format and tone. It is generally used by a business to invite the other party in case of any event or occasion since their presence is important. The letter of invitation is a formal invitation letter hence it must contain all the invitation about the occasion. The vital details, such as all the information bout the occasion, the date and venue, etc. must not be missed and be written. The letter must be written in such a manner that the recipient cannot resist attending the event. 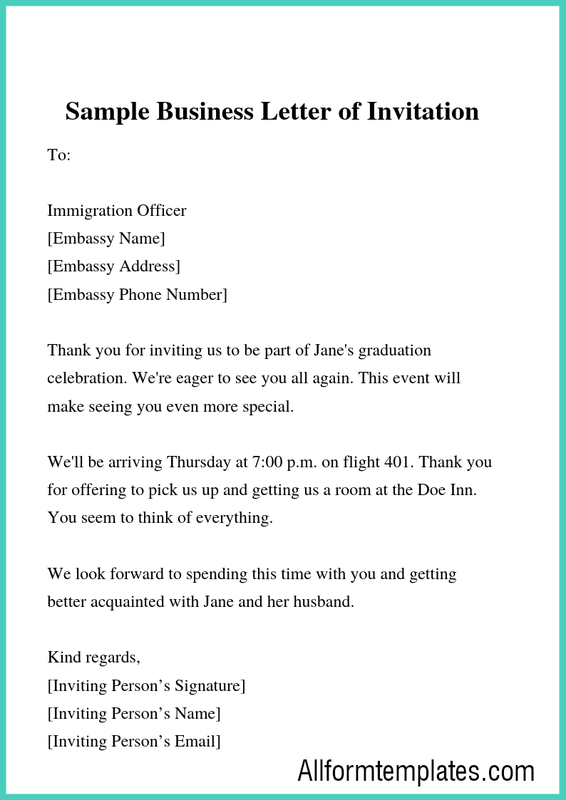 A good invitation letter is crucial for the success of the company’s event. It can help a company establish new contacts in the corporate world or strike contracts with like-minded business. In any ways, an invitation letter represents the company to the recipient, so extreme care must be taken to write it using proper format and sentences. 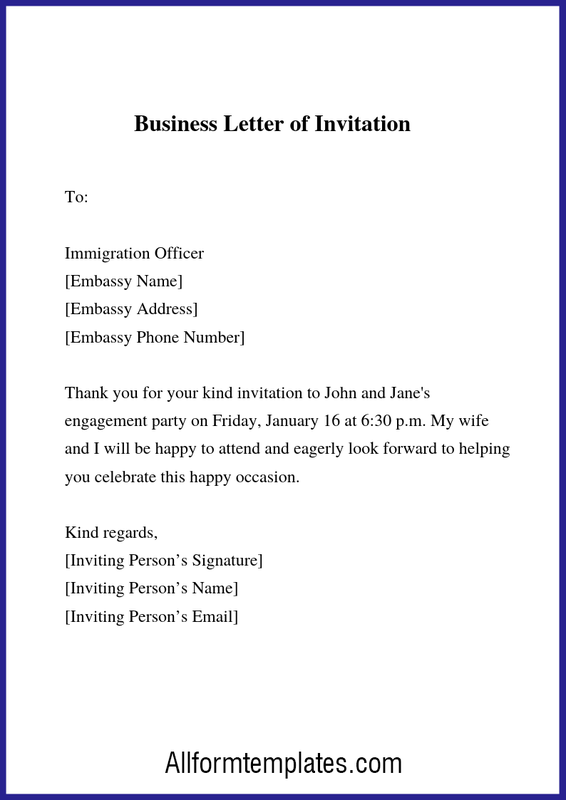 If you are a citizen of a particular country and you parents are coming to visit you, you can request a visa for them by writing a business invitation letter. It will help them to make the process of getting visa an easier job. Through this letter, you can inform the officials regarding the purpose of your visit. The format plays a vital role while writing any business letter. Hence a proper format should be in place for business invitation letter too. It should mention all the information regarding the visit of the person in question. You should also mention the places you are visiting, your hotel, your arrangement in hotel, etc. The start time and end dates of the visit must also be written in the letter, making it clear to the officials. So if you are planning to organise an important corporate event and are planning to invite your clients, partners, etc. 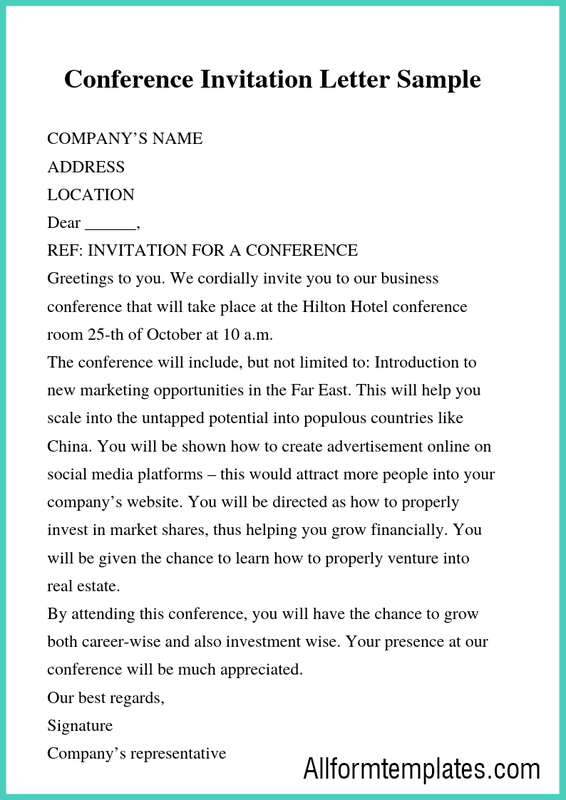 in your business event, you can use an invitation letter to do so. To make it easier for you to write your own invitation letter, we have provided you here with some sample templates, which you can easily download from here by just clicking on the link provided above.